happy new years!!! 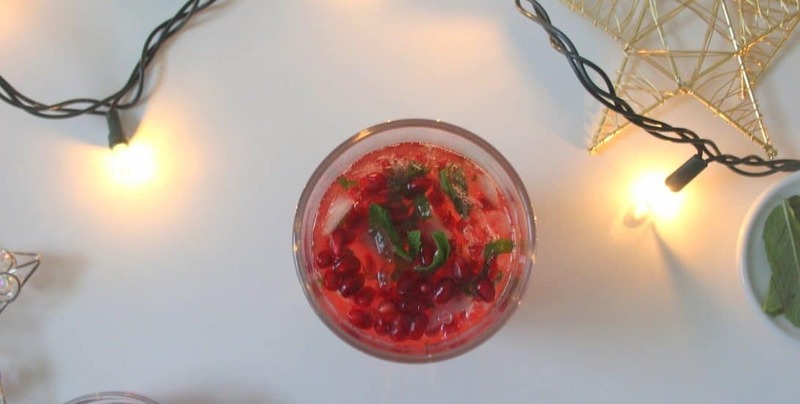 it’s a little late by the time you’re probably seeing this post, but my friends and i are sipping on glasses of this pomegranate ginger beer mint sparkler tonight so i’m posting it anyways. it’s tart and fresh and gingery and fizzy, and feels so festive with all that ruby pomegranate and verdant mint. if you’ve never had ginger beer before, now’s the time to try it. it’s ginger ale’s more gingery cousin, and despite the name, it tastes nothing like beer (good thing, bc i have not acquired the taste for beer yet. or ever). 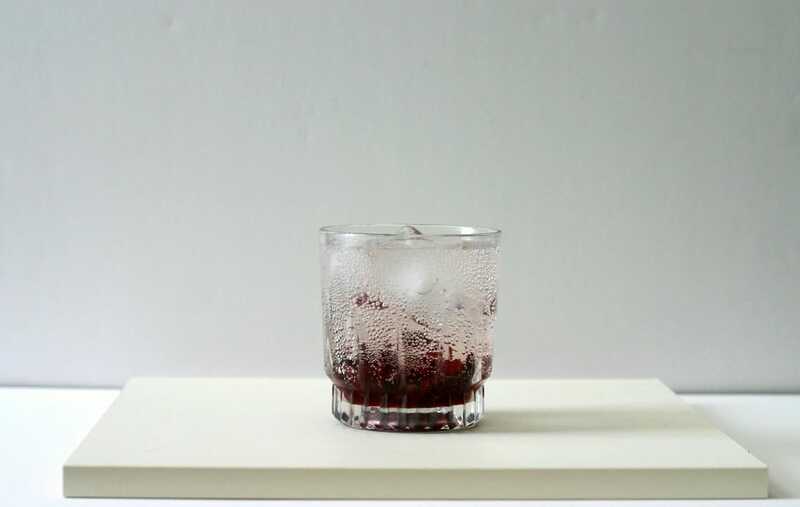 say you want to make your pomegranate ginger beer mint sparkler a bit sweeter: ginger ale or sprite would work well instead of the ginger beer, or you can add liquid sweetener to taste. say you want to spike it: vodka or champagne would be good, or if you want a bit more citrus in your life, triple sec or grand marnier. This pomegranate ginger beer mint sparkler is perfect when you want something bubbly and a little special, but not cloyingly sweet. Muddle (aka smash until fragrant and juicy) the pomegranate arils and mint. Add the ice, and top with ginger beer. 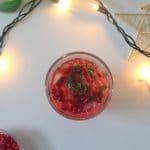 Garnish with more mint and pomegranate arils before serving cold. Happy New Year! 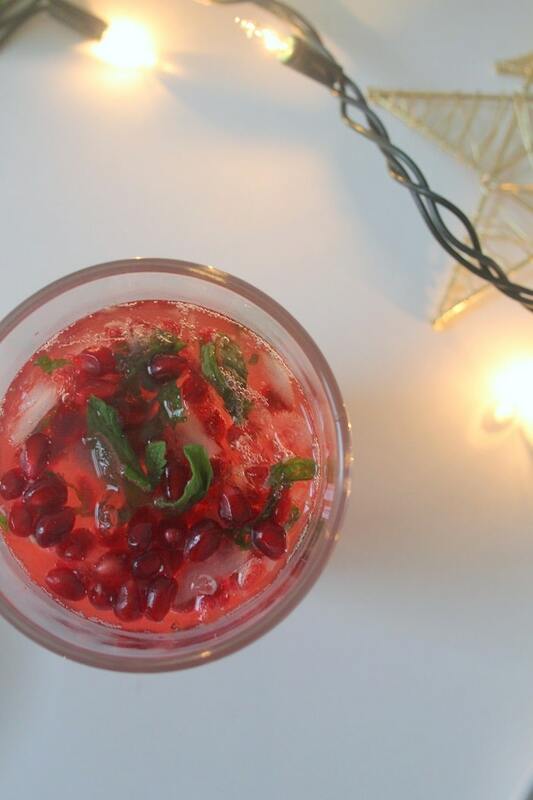 The pomegranate ginger beer mint sparkler looks delicious! I only learned about this recently at DCA’s holiday festival XD. I love how it’s easy to make and have some delicious fizz at the end. Hope 2018 will treat you well! oooh. haven’t gone to disneyland/dca since october, so i didn’t get to try anything this year, but that’s probably for the best (; disneyland and dca become one big eating adventure when they have seasonal food because i’m too excited lol. Happy New Year, Heather! What a great idea this is – I love ginger beer! And what better to add than pomegranate! A keeper for sure! Happy new Year!! This looks so refreshing – I LOVE ginger beer. Wow! 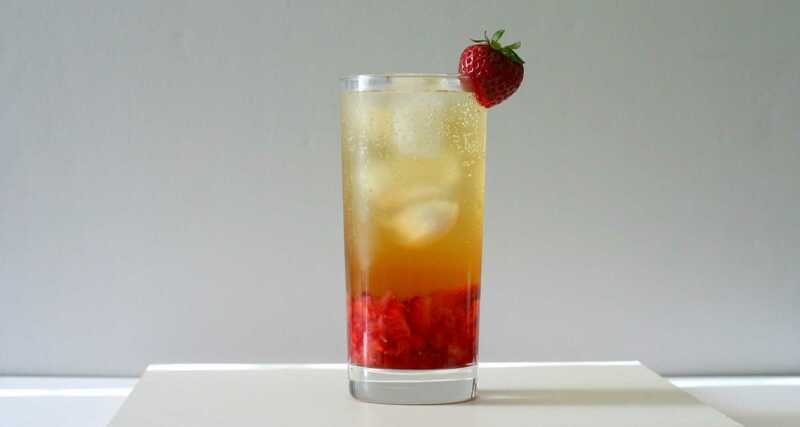 This drink looks so refreshing! Love that it’s non-alcoholic! cheers to you too, kim! I love that this looks fancy but is so easy to make. A great beverage for year-round celebrations! Happy 2018! This drink sounds wonderful and just my kind of thing! Happy New Year, Heather!! That’s a refreshing twist on the regular ginger beer!! Love the fresh flavors you have incorporated in there!! Yummy! What a dazzler! I love the delightful tingle of ginger beer but you’ve really dressed it up so beautifully here! Very festive and very happy. Fun! Happy new year to you too! Looking forward to all your crazy cool recipes this year! thanks, kimberly! hope you had a great holiday season. This looks so refreshing and delicious…perfect for the extremely hot Summer here in South Africa right now. I cannot wait to try !!! this is super refreshing so i can imagine how good it’d be in the summer! I love ginger beer! We just bought the triple brew from Trader Joe’s but have yet to open it. Will have to try this twist soon! oooh i haven’t had the triple brew from tj’s. i used the six pack they sell for these, but i think that’s normal strength ginger beer. a little afraid of the sound of triple brew- it’s bringing memories of biting into big chunks of ginger back lol. Happy New Year and that sparkle looking gorgeous! Great combination of fruit and herb. tart, fresh, gingery, and fizzy… Sounds about right! yes, this drink is definitely all of those things! It’s never too late to post an awesome drink recipe! This looks so festive and definitely perfect to share and enjoy with friends! Happy New Year! The mint touch on drinks are always so refreshing! This drink looks awesome to share with friends and family. I’ll have to make up an excuse just to make these! Thanks for sharing!